Bálint Ódor, the Hungarian Ministry of Foreign Affairs’ deputy state secretary in charge of European Union matters, has been appointed Hungary’s new ambassador to Canada. He takes over the embassy in Ottawa from László Pordány, whose term as ambassador has been brought to an end effective August 15th, 2014. Mr. Pordány leaves behind him a politically charged embassy and a highly politicized Hungarian Canadian diaspora community. Ambassador Pordány had urged right-wing, pro-government diaspora leaders to battle so-called “anti-patriotic forces” in Canada and supported the exclusion from the Hungarian community of all those who were critical of Prime Minister Viktor Orbán’s illiberal and authoritarian rule. 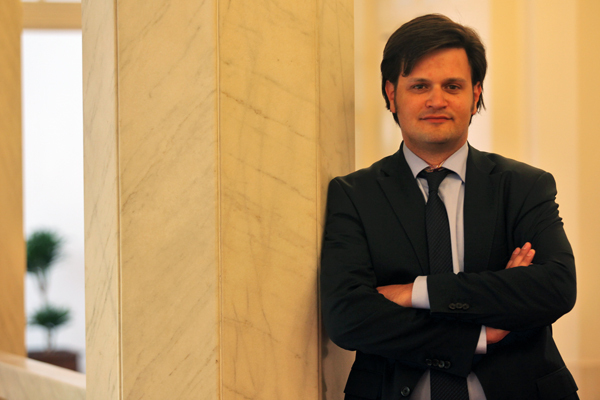 Mr. Ódor, the incoming ambassador, is a 39 year old economist and European Union specialist. He was appointed deputy state secretary in 2010. Previously, between 2007 and 2010, Mr. Ódor served as director general of the Hungarian Parliament’s Foreign Office. Hungary’s new ambassador to Canada received his PhD in 2014 from Budapest’s Corvinus University and had previously studied at the École Nationale d’Administration in Paris and at the University of Fribourg in Switzerland. Bálint Ódor appointed as Hungary’s new ambassador to Canada. As deputy state secretary, Mr. Ódor has been a staunch advocate for the expansion of the European Union into the western Balkans, and particularly in terms of launching accession talks with Serbia. Earlier this year, Mr. Ódor noted that it was in Hungary’s best interest to support the expansion of the EU, but to also ensure that accession talks with Serbia keep in mind the needs of the Hungarian minority in Vajdaság (Vojvodina). In addition to his work at the Ministry of Foreign Affairs, Mr. Ódor has served as a sessional lecturer at the Budapest Business School since 2005. Whilst building on existing bilateral ties between Canada and Hungary, Mr. Ódor will not only face the onerous task of divorcing the activities and statements of the Hungarian embassy in Ottawa from right-wing party politics, but will also find himself faced with a heavily politicized and Balkanized Hungarian Canadian community. Taking over an embassy that for the past four years has played a deeply destructive political role within the Hungarian Canadian diaspora and which has focused on suppressing any alternative views and voices may be among Mr. Ódor’s first challenges in Ottawa. 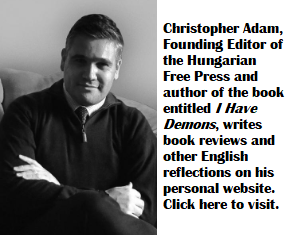 The Hungarian Free Press wishes Mr. Ódor the best as he transitions into this new role.